Hey everyone! So today is the first day of the Easter holidays for a lot of you out there. The real question is how exactly are you going to spend them? I thought that I'd combine a list of around 50 things that you can do when perhaps your friends are busy or you just can't afford to really go out and do much. This is perfect for those times when you are sitting down and are really bored. These ideas are not just for the Easter Holidays though, even though that was the inspiration behind this post. This list can be for any time that you are bored throughout the year and perhaps just need something extra to do. Enjoy! 31. Get off the internet/computer and send hand written letters to all your friends. Maybe make them anonymous to make it more fun. 32. If your friend/family members have a birthday coming up make them a present instead of buying one. 37. Join pinterest if you haven't already got it and make different boards of all your favourite interests. 42. Create a time capsule and bury it somewhere in your back garden. 49. Have a lazy day complete with snacks, movies and tv shows. DON'T FEEL GUILTY OR BAD! 50. Lastly, read MY blog!! There's over 200 posts here and it'll help definitely pass the time! So there we have it. 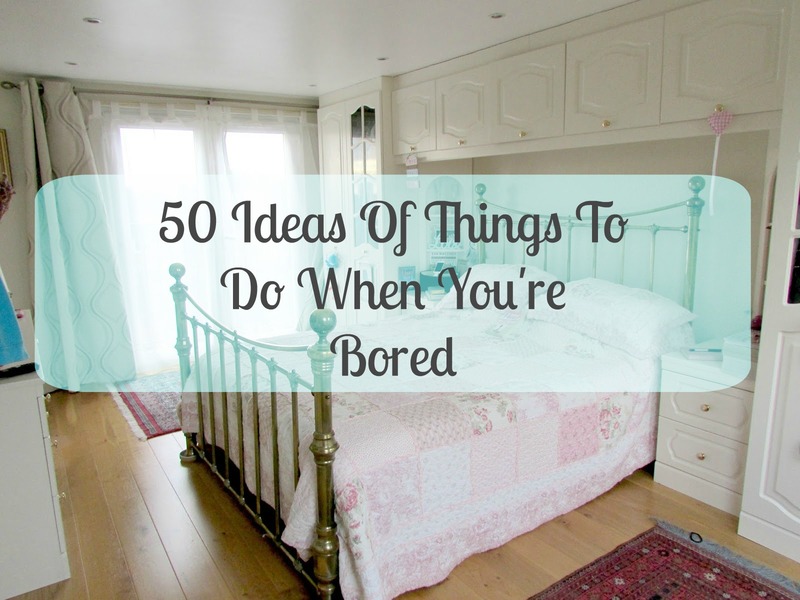 50 things to do when you are bored or just need that extra little thing to help pass the time. Hopefully some of these have helped you and when you're bored you can just refer to this list and find something to do. If you can think of anything else I can add to this list then do let me know in the comments below. Hopefully you enjoyed this post! Hey everyone! So it's that time of the month where I round up everything I've been loving and share it with you all. 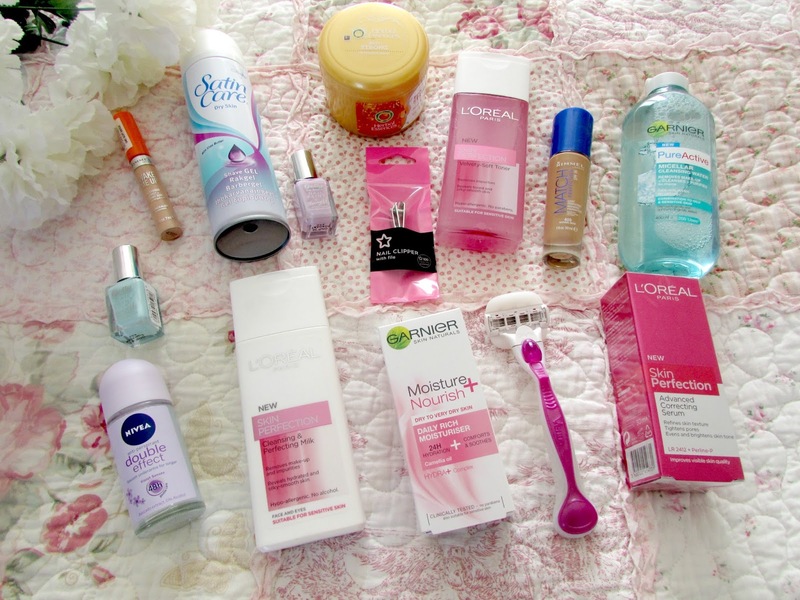 I normally split this up into two posts, beauty and non-beauty but because there wasn't that many products when I got everything together I've decided to just combine the two into one post so I hope you don't mind. 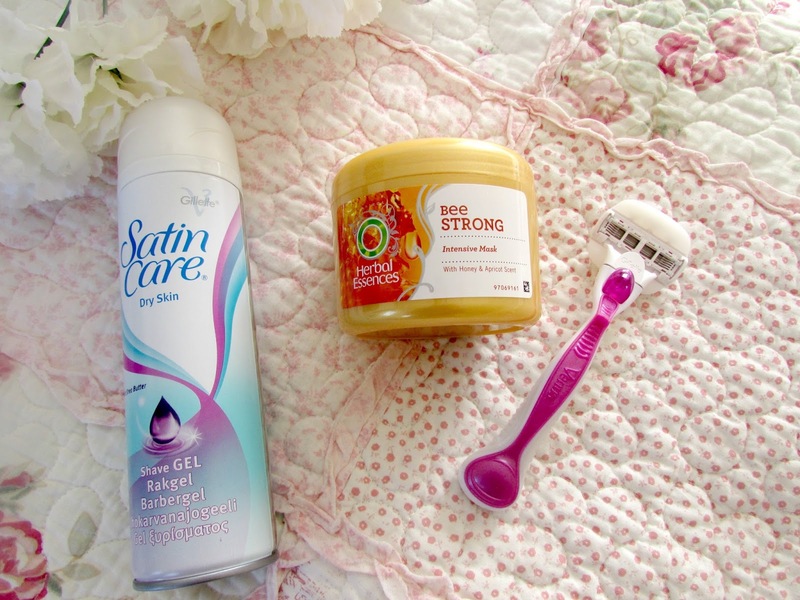 You will notice if you've been reading my blog for a while that I keep on mentioning the same products in my favourites and I know that can get a little bit boring but I can't really afford to go out and buy new products a lot so I'm sorry! 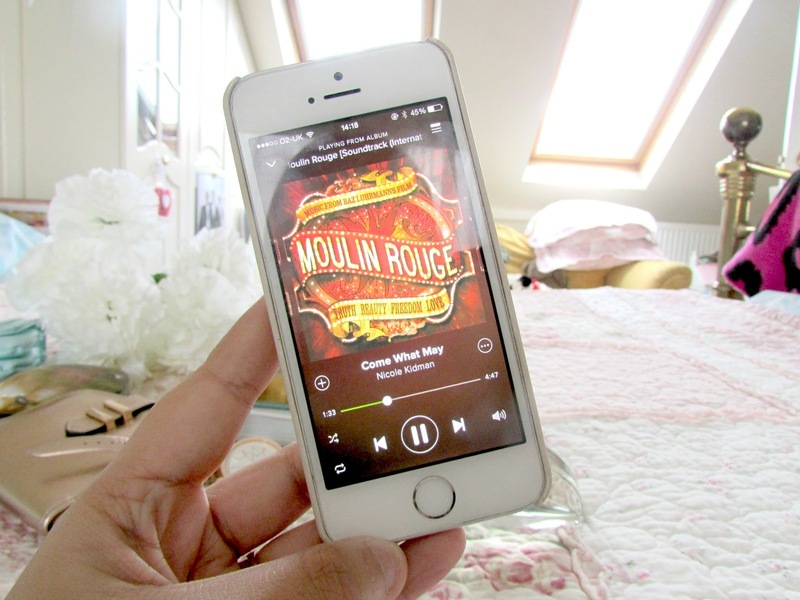 I have loved putting together this post so I really hope you enjoy reading it. 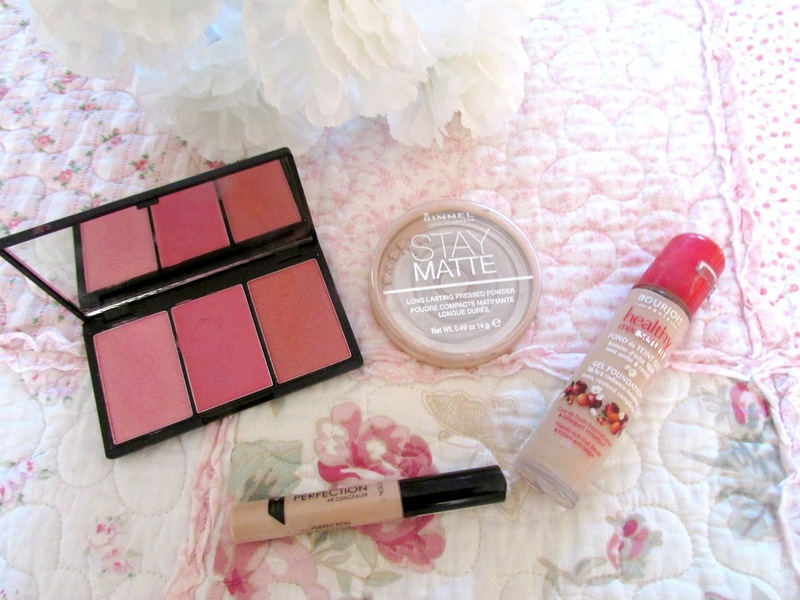 My non-beauty favourites list is quite small this year. The first couple of things I have been loving have been Fleur De Force's and Tanya Burr's books that they have bought out. I absolutely love the fact that they are packed full of beauty and fashion tips as well as general things such as relationships, life and cooking tips too. They are just perfect books to have on the coffee tables. 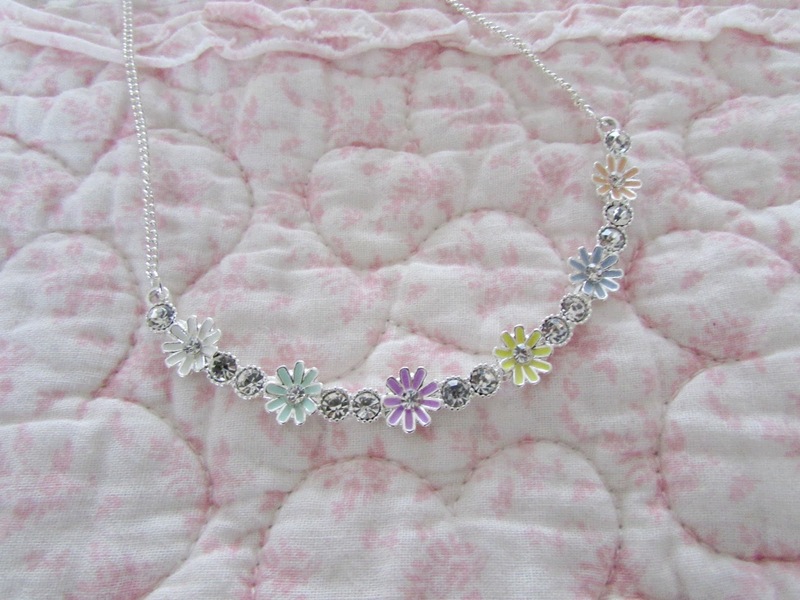 I've also been loving this pastel coloured necklace that I bought in Primark a couple of weeks ago. It just goes with absolutely everything that I wear and looks super cute under collared shirts as well. 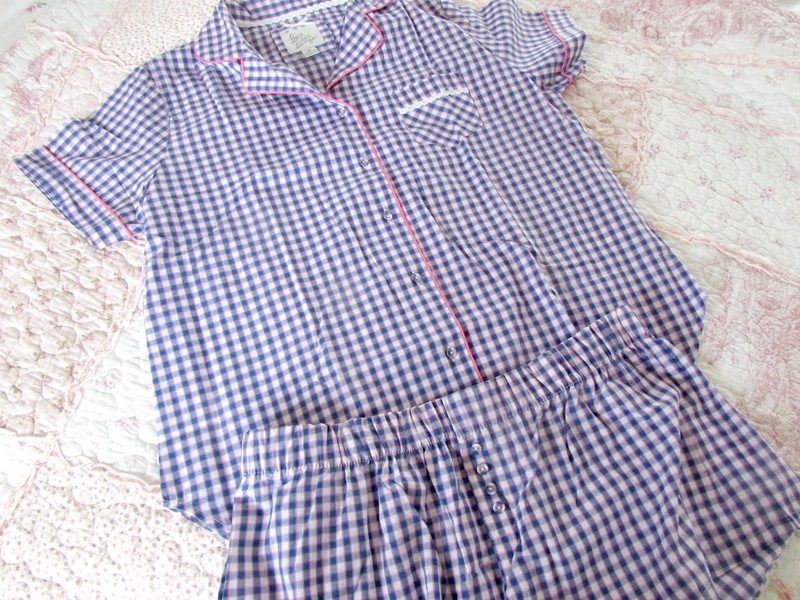 I've also been loving these PJs that I bought from Primark too. They are just so cosy and comfortable and look really cute on. Despite them being a simple short and shirt set I know I'll definitely be wearing them all year round as I just love them. I'll start off with face products. 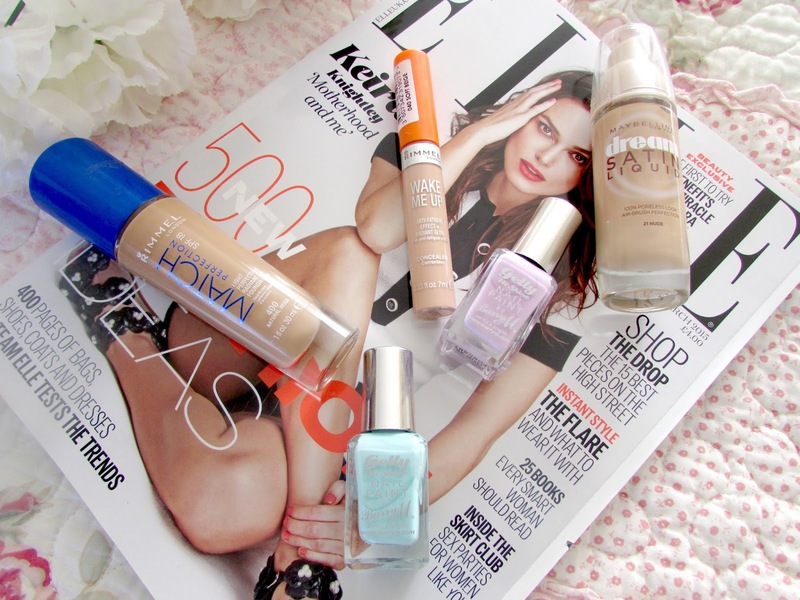 The first thing I've been loving is a new foundation which is the Maybelline's Dream Satin Liquid foundation. I thought I would never use a foundation again after the Bourjois healthy mix serum literally being my holy grail but the dream satin liquid is just incredible. 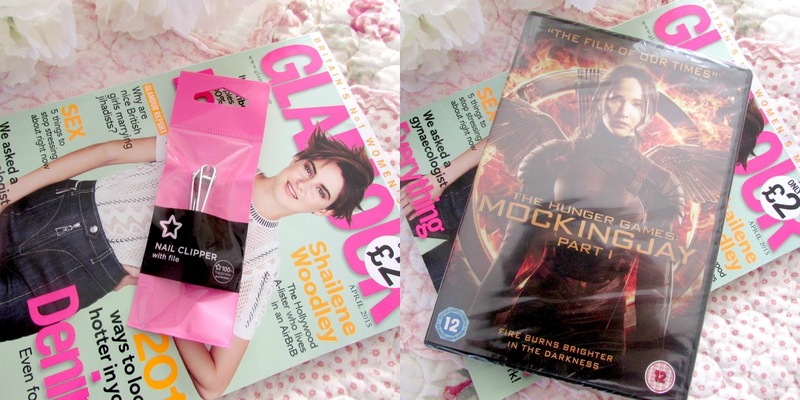 I have a full review coming up on my blog soon (I know I'm a bit late to the party but hey ho). It's just so incredible and really gives my skin that airbrushed finish which I wasn't expecting. 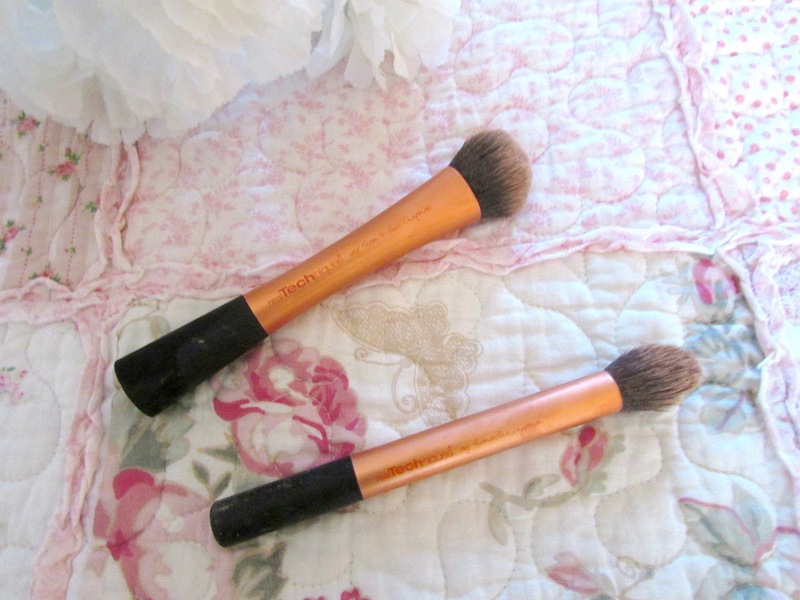 I love the medium coverage it gives and also the fact that it is extremely blendable which brings me on to my next favourite, the Real Techniques Expert Face Brush. I absolutely love this brush. It's super soft, buffs and blends my foundation extremely easily into the skin and it's just an amazing product. I sometimes use this to apply my favourite powder of the month which is the Rimmel Stay Matte Powder. This product is just absolutely incredible for reducing shine and keeping all my make up in place. Check out my full review HERE. 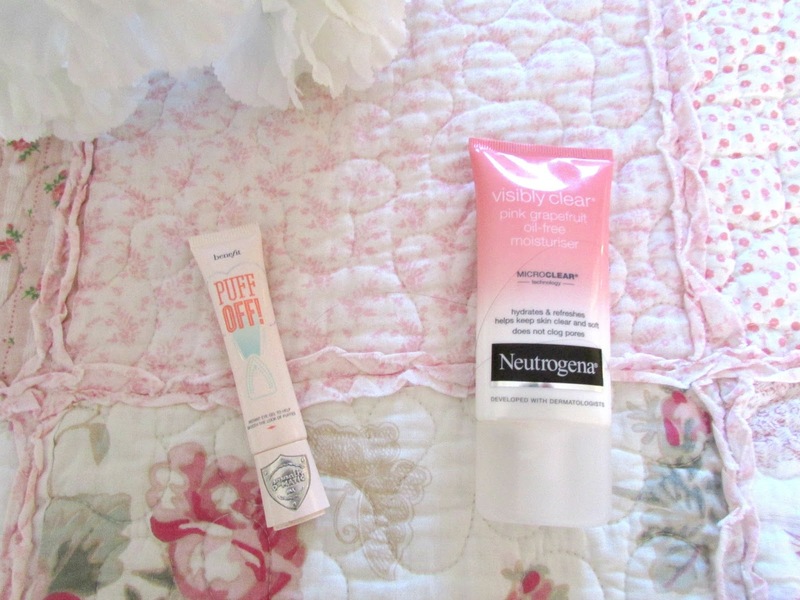 I have two favourite lip products this month. The first is a Model Co lip-gloss in the shade Strip Tease. This lip gloss produces the littlest amount of colour on my lips but I absolutely love how glossy and hydrating it makes them look. I also love the fact that it is not sticky. I wear my hair down a lot as I hate putting it up but I love that even when it's windy my hair won't stick. It's just amazing. 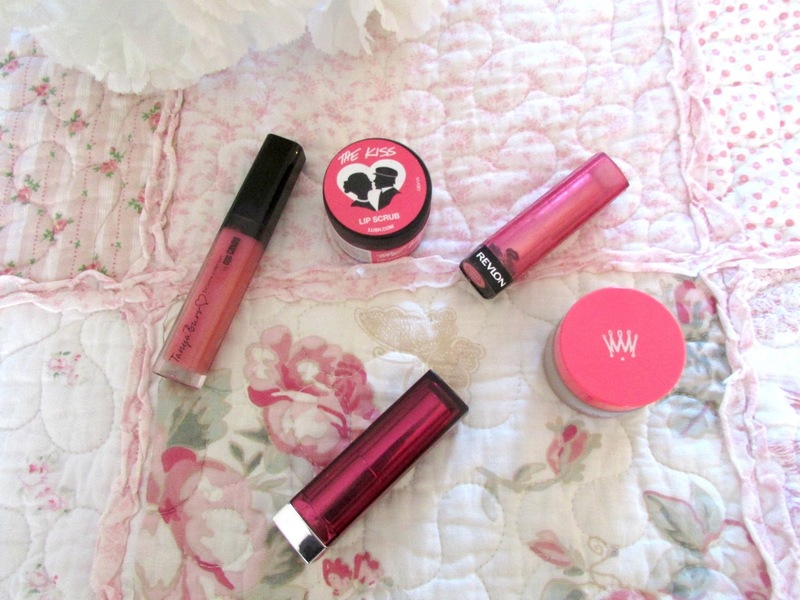 My second favourite lip product has been the Baby-lips Lip Balm in the shade Cherry Me. I absolutely love this lip balm as I find it so incredibly moisturising and I love the hint of colour that it leaves on my lips. Definitely perfect for those days where I don't really want to wear make up but still have some thing on. 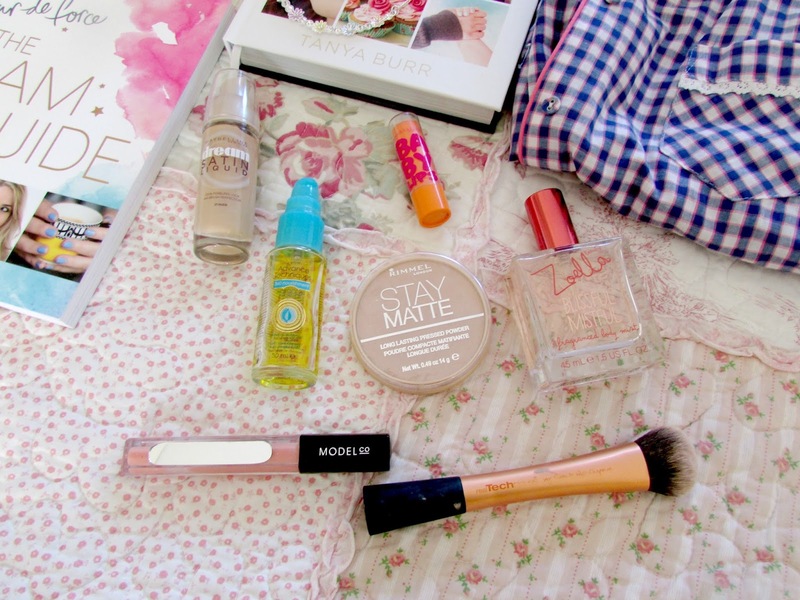 My last two beauty favourites are Zoella's Fragrance Mist which I absolutely love. 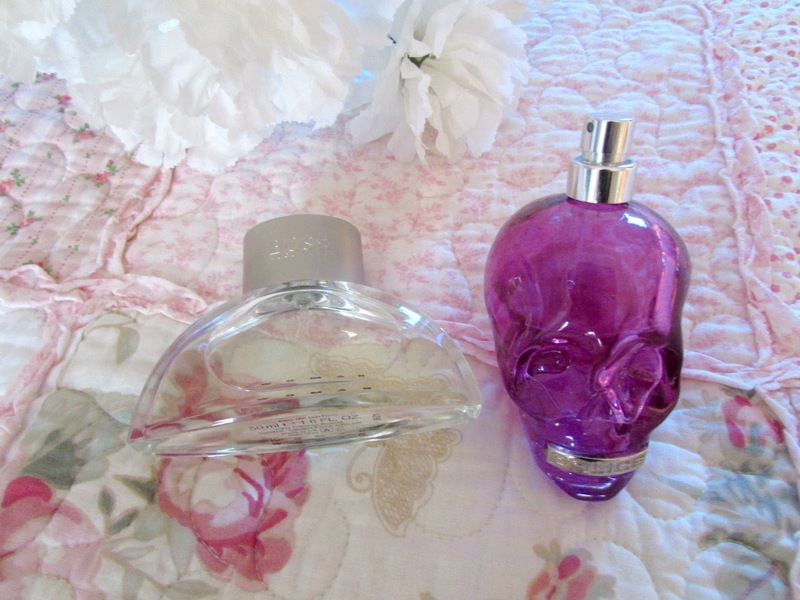 It just smells so fresh and girly and perfect for this time of the year. I don't really know how else I can describe it to be honest but it's definitely a scent that I'd highly recommend as I think it would be perfect for spring time and you definitely won't be breaking the bank when you purchase it which is definitely a bonus when purchasing perfumes. 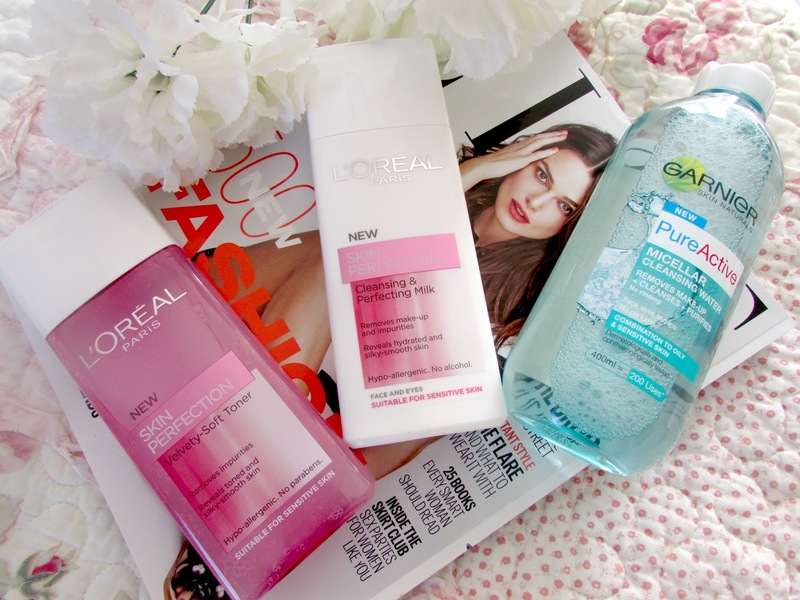 I've also really been loving the Avon Moroccon Argon Oil. I always use this just after I've washed my hair as it just gives it that nice little added strength. It also leaves my hair looking healthier and shinier which I love. 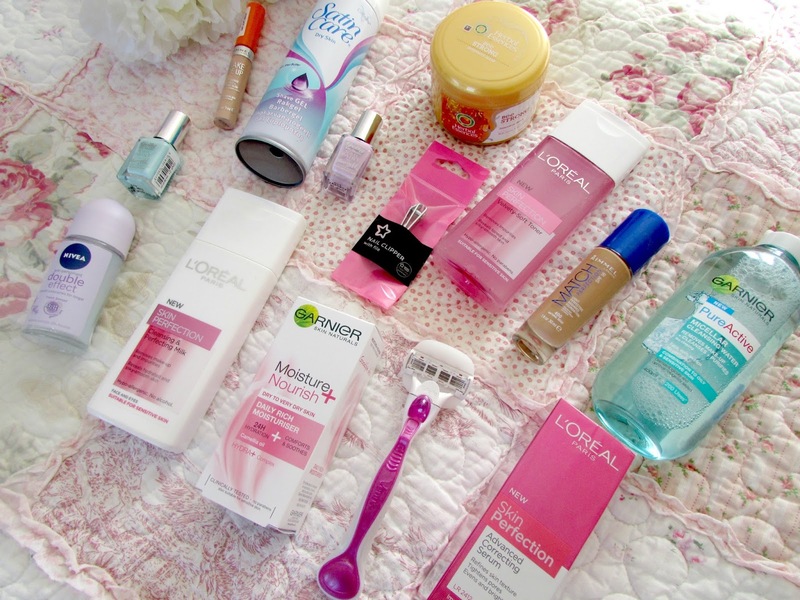 So these are all the products that I have been loving throughout March. 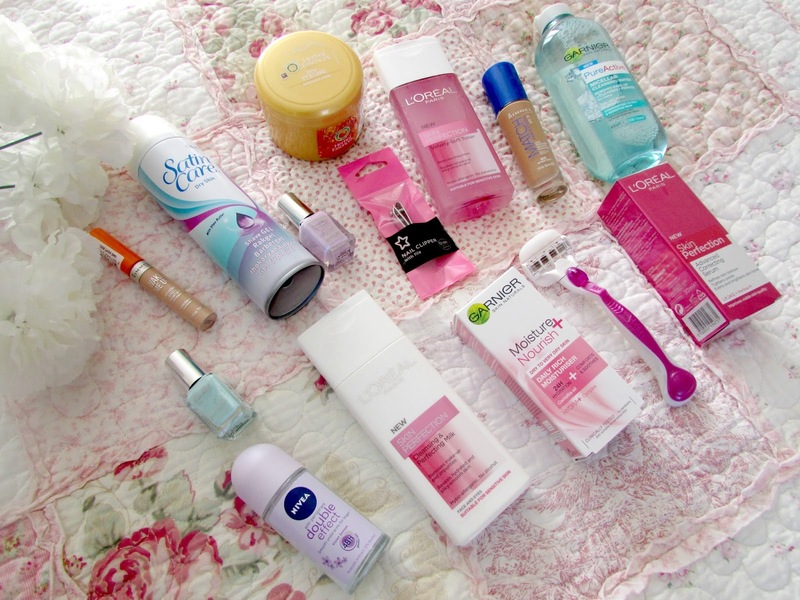 I hope you didn't mind the combination of beauty and non-beauty in this post as I just thought there wasn't many products for either section so combining them into one post made it easier. I hope you have enjoyed this post. I can't believe it's nearly April!! First of all if you don't know where the title of this post is from then you haven't lived! 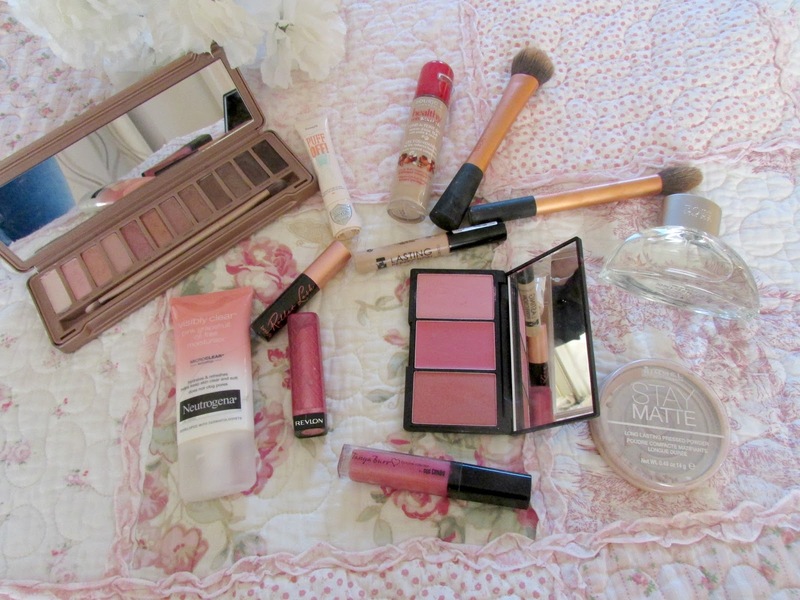 Secondly today I thought that I would do a wishlist post containing all things pink. I've been perusing the internet a lot lately at new clothes and most of the stuff that I've really been loving is pink! As pink is one of my favourite colours this is something that definitely makes me very happy and as it is Wednesday I thought it was only right to put up this post today! Spring is just around the corner too and I definitely need to incorporate some more colour into my wardrobe So before I ramble on to much here's a list of all things pink that I'm lusting over. One item of clothing that I am going to try and wear more of this spring and summer are playsuits. I've never really worn them before but I think I'm 24 years old this year it's about time I start to branch out more with fashion and get out of my jeans and leggings! I absolutely love this pink one I found on the new look website as I think it will be perfect for spring and summer and I just love that I can dress it up or dress it down. Stunning little number. I absolutely love this jumper. My wardrobe is full of jumpers like this so technically I don't need another one but it's just so pretty and I love the 'Let's Stay In Bed' on the front of it too. This is definitely something that would be so incredibly cosy in the evenings all year round. When it comes to jackets I normally tend to stick to the stand black and navy blue purely because those are the colours that I know will go with absolutely everything in my wardrobe. However when I was on the River Island website I came across this gorgeous jacket. I love the black panelling on the shoulders and the pocket designs too. I'm not too keen on the button in the middle but I'll probably wear this open most of the time anyway. I never really close my jackets when I wear them. Then I complain when I'm cold. Oops. I go through purses like there's no tomorrow. I have a little bit of an obsession with them but I absolutely love the design of this one. I think it is so pretty and girly and I love the color too as it means that it will stand out in my bag as well. I won't have to spend hours looking for the purse as I know this one will stand out straight away. I'll definitely be purchasing this in the near future. I absolutely love back packs at the moment and ASOS seem to have the cutest ones. I just love how simple and convenient they are. I love the colour of this one and how spacious it appears to be on the inside too. I just think if you are planning on a shopping trip and are planning on spending a fair amount you really don't want to be lugging around a heavy handbag on your shoulder or half way down your arm. Backpacks are just perfect and I'll definitely be purchasing this in the future too. It's coming up to that time of the year where we say goodbye to the cosy boots that we've warn for the past 4/5 months and welcome in cute little spring shoes. I spotted these on the New Look website and I absolutely adore them. I think they are so pretty and simple and you can just throw this on with any outfit and you're good to go. I love the little bow on the front as that makes it a little bit more stylish but I think they look so incredibly pretty. And we're done! That's everything pink I'm lusting after at the moment. I hope that I'll be able to get my hands on a few of these items. I know I'll definitely be purchasing the playsuit, backpack, purse and shoes as they are just so incredibly pretty and really affordable too. 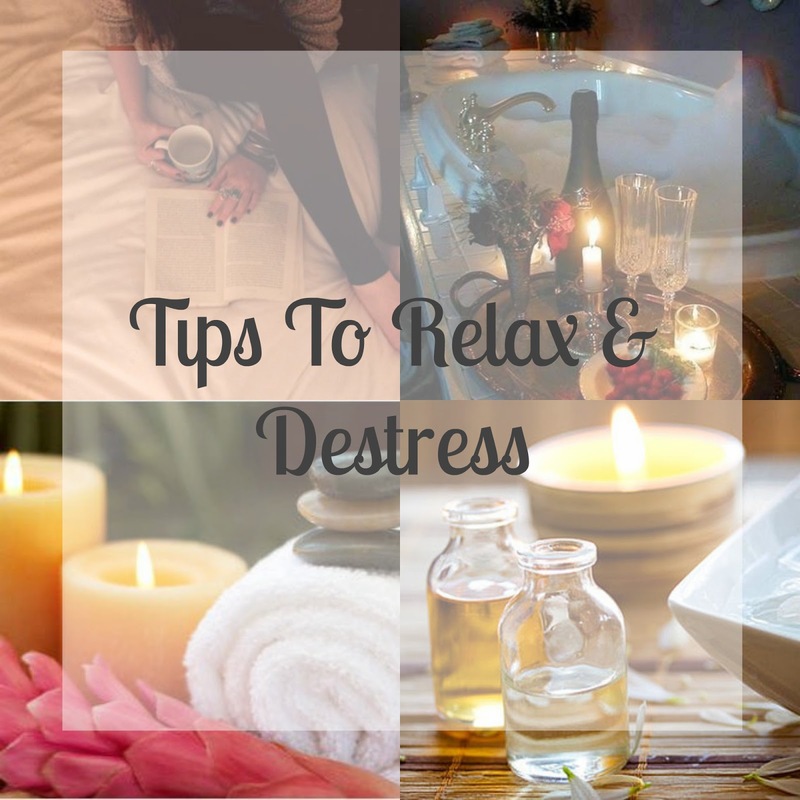 If you are interested in any of these products then as you can see from the post I've provided links next to each item where you can head on over and read more about each of the products. What fashion bits and bobs are on your wishlist at the moment? Hey guys! I can't believe it's the final week of March already. Where is this year going?! If you've just started following my blog recently, firstly hello to you all and secondly, you may not be aware that every month around this time I'll be doing a monthly playlist on here. This is just to show you guys the kind of music I've been listening to that month. This will normally consist of a mixture of new and old music. I love reading these types of posts as it gives you a chance to get to know the person a bit more behind the blog and what sort of things they are interested in. So before I ramble on too much, here's my March Playlist! 29. The Beach Boys - Wouldn't It Be Nice? This are all the songs I have been loving throughout March. As you can see my music taste is just all over the place but I absolutely love all these songs as you can really connect with them and they all tell stories in their own way too. You can find all these songs on Spotify and if you would like easy access make sure to head on over HERE which is my spotify and you can see my March wish list called 'March Mayhem'. If there are any songs you think I should listen to then be sure to leave them in the comments below as I love discovering new bands, singers and musicians. What have you been listening too this month? Hey everyone! Hope you have had a lovely weekend! Today I thought that I would do another blog post. At the moment I am at that age where me and others my age might be going through something called a quarter life crisis. Quite a lot of us are still figuring out who we are and what we want to do with our lives and very often that can upset us and make us feel really down. In 5 months time I will be turning 24 and it scares me as I am yet to figure out what I want to do with my life. Remember those days when you thought 24 was really old? Yeah...it really isn't. I wish the warning that a quarter life crisis would be heading my way came a bit sooner. Student loan repayment letters, a million job applications to fill in, friendships to keep, life really is tough at the moment but I thought I would do this post just to let you all know what I've learned from my 20s far, through not just my own life but from observing others my age too. It is quite a light hearted post so I hope you enjoy it! 1. You still feel like a 16 year old and wonder when and if the day will arrive when you will finally start to feel like a real adult. Yes I do want to watch Paddington please and thank you! 3. Despite having all the qualifications in the world, experience is the most important thing to have on your CV. However trying to get experience is harder than getting a job at times! 6. People come in and out of your life like never before. Another part of life. 7. You wonder what on earth the youth of today are talking about? What on earth does Fleek and Bae mean? Who's become a slayer? That's a career option? 8. Long gone are the days where Facebook was full of song lyrics as status' and photos from parties. Now it's all babies and wedding photos. 9. You start watching what you eat a lot more and you realise that metabolism just isn't as fast as it used to be. 11. You start morphing into your mother in terms of the things you say. Why hello oh wise one! 12. It's a lot easier to figure out who your true friends are. 13. It's not too late to start working towards a new dream. Throughout school/college I always wanted to work in tourism because of my love for travel. Now I want to work towards journalism. 14. Break-ups and losing people you love and care about really does hurt like never before. 15. You start to care less about what people think of you and become a lot more happier. 16. You don't need to have everything figured out right now. 17. Realising that money doesn't just grow on trees and it takes months, maybe even years of saving to get that new car, or short trip to New York. 19. Long gone are the days where pretty dresses and nice tops for nights out were all we shopped for. Now a trip to the shops involves cosy pjs and slippers & pretty homeware bits and bobs. 20. Nights out with your friends just aren't the same as they were throughout school/uni. Is it time for bed yet? 21. You start to realise that it is your life. You only get one and instead of pleasing others, it's time to start doing what makes you happy. 22. You definitely start to appreciate your parents' advice more and sometimes wish you listened to them more when you were in high school. 23. Being in your 20s doesn't mean that you won't mistakes. You are old enough to know what the right decisions are to make and young enough to make the wrong decisions. You're still learning. 24. You are not alone. Thousands of people around the world are in the exact same boat as you. It's a part of life that nearly everyone at some point goes through. So there we have it. Just a few things that I'm sure a lot of you who are in your 20s at the moment are realising and if you are perhaps coming towards the end of your 20s maybe you can relate to a lot of these things. I am only 23 so I am still very young and despite the fact I'm still applying for jobs and I don't really know where my life is heading at the moment I am going to continue to think positive and keep working hard. I'll keep you updated, don't worry! What have you learned from your 20s if you're at that age? If you're younger than 20 what are you expecting from them? Hey everyone! Hope you are all having a lovely week so far!! Today I thought that I would do another 'Share The Love' post for you all as I have been reading so many new blogs lately and been loving quite a few so I thought that I'd combine them all into another blog post. I love reading these types of posts as I think it's a great way to discover new bloggers and meet new people in general as well. Keep reading to find out why I love each of these gorgeous bloggers. 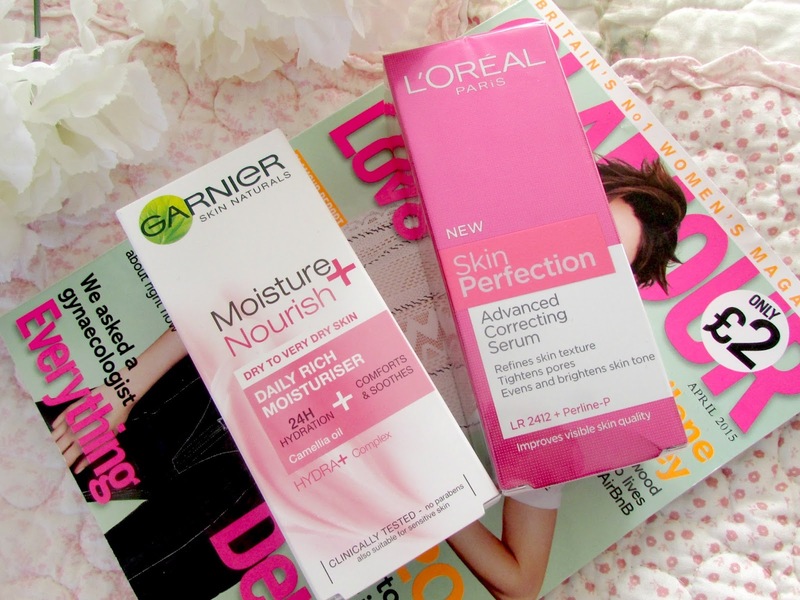 The beautiful Carly is the author behind Beautysauce and I absolutely love her blog. I absolutely love going to her blog for a bit of style inspiration as I think her fashion sense is absolutely incredible. I love going to her posts for a little bit on inspiration. She also has a youtube account to where she posts beauty videos and they are all amazing. Definitely check her out! I've included her in a favourites post before but I had to include her in this post too as Em's blog is one I have been reading a lot lately. It's just so full of variety. Whether you want a lifestyle post, a fitness post or a beauty post you can find it all on her blog. Like me, she is also a huge lover of travel and I absolutely love reading all about her travel adventures and new places she's been. There's definitely a few new places been added to my own places to travel list. She's also such a lovely girl too. I'd highly recommend checking her blog out. The gorgeous Kayleigh is the brains behind this beautiful blog and I absolutely adore her. She is an absolutely sweetheart and I love her blog too. I love the fact that her blog is basically just about everything and anything she wants to write about. She doesn't really stick to a theme and I absolutely love that about it. You can see how much she loves blogging by just reading a post as her passion for it really does come across. If you're not following Kayleigh already I'd highly recommend it as she is one of the loveliest girls I've come across. I've been reading the gorgeous Frankie's blog for the past month now and I absolutely love it. She's such a lovely and gorgeous person. I love reading all the reviews on her blog as I find that they are really in depth and give you a lot of information. 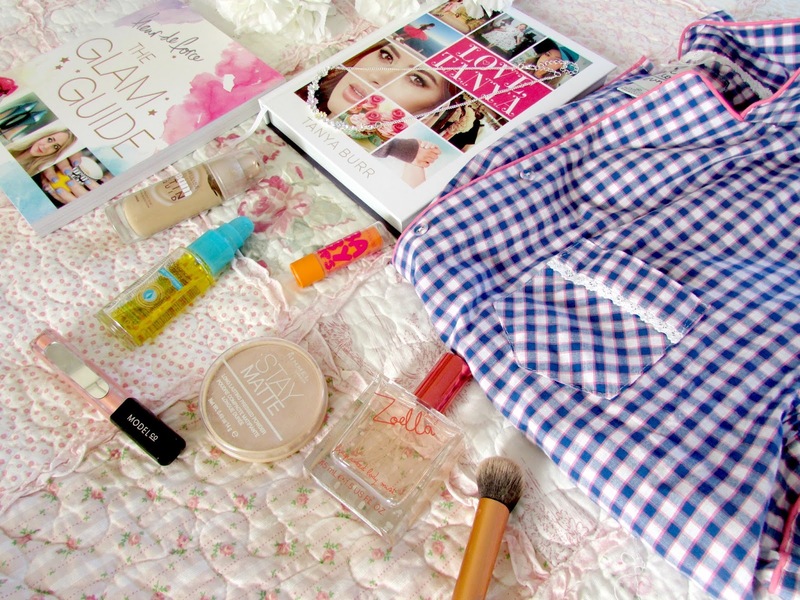 Her blog contains all things beauty, fashion and lifestyle related and I just love it! The lovely Mariah is the author behind this blog and I absolutely love this girl! She's just so lovely and her blog is amazing too and definitely one of my favourites. 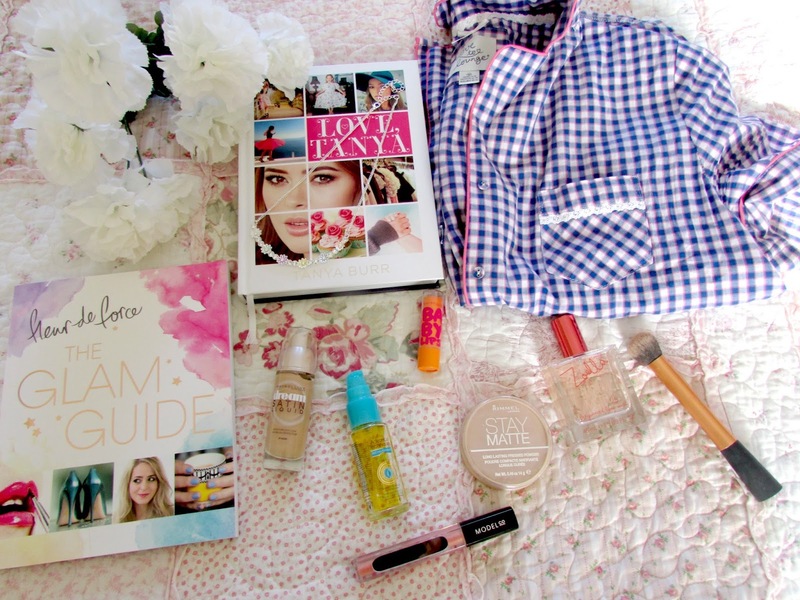 Her blog contains a number of beauty and lifestyle posts which I love. I'm lucky enough to be able to call Mariah a friend and I'm super excited to finally meet up with her in a couple of weeks time and celebrate her birthday! I can't wait! Definitely check out her blog. She's a sweetheart! I love this girl so much!! Again, Corrie is another person who I've featured in a few of my other 'Share The Love' posts but I just love her. Her posts are always making me chuckle and she's just such a lovely person too. She's definitely the sort of person I can see myself being friends with in real life. She's just amazing and when you're reading her posts it's just like a friend is talking to you which I absolutely love. If you didn't already know, although I'm sure you do Corrie also has a youtube channel. I love her videos as they are extremely chatty. She's just a lovely, lovely girl! One person I had been following for ages but actually didn't really take a look at her blog until very recently was the beautiful Lydia's. Big mistake on my part as her blog is absolutely amazing. She's absolutely stunning and I just love her blog. Her photography is absolutely amazing and again her reviews are absolutely spot on and so thorough too. I absolutely love her posts and I haven't stopped reading it since coming across it. It's just such a beautiful blog. I came across Lauren through Kayleigh from CoutureGirl as they are very close friends and I remember Kayleigh tweeting about her blog so I decided to check it out and I absolutely love it. I've also been speaking to Lauren on twitter and she's such a lovely girl too. Her blog consists of beauty, lifestyle and her latest posts speak about her fitness as well which I have been enjoying immensely. I'd highly recommend checking her blog out. 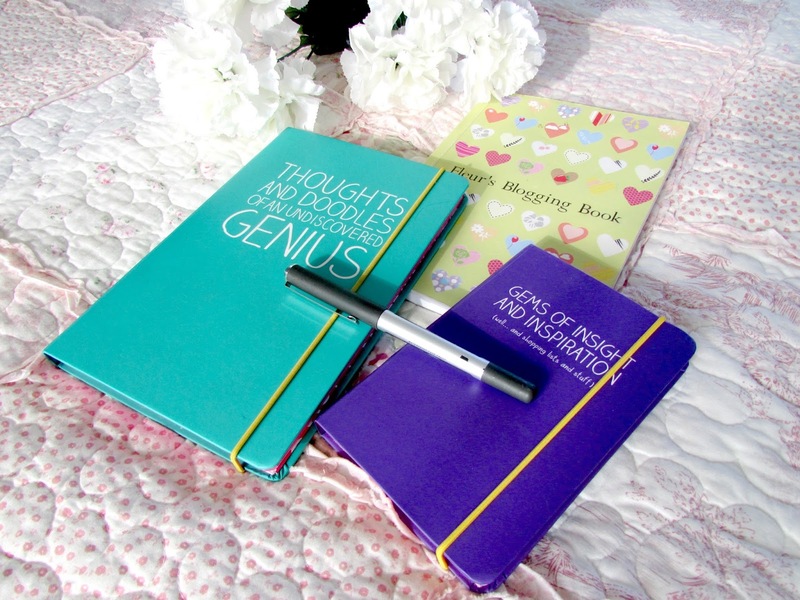 Another blog I have been enjoying loads recently is the lovely Annie's blog. 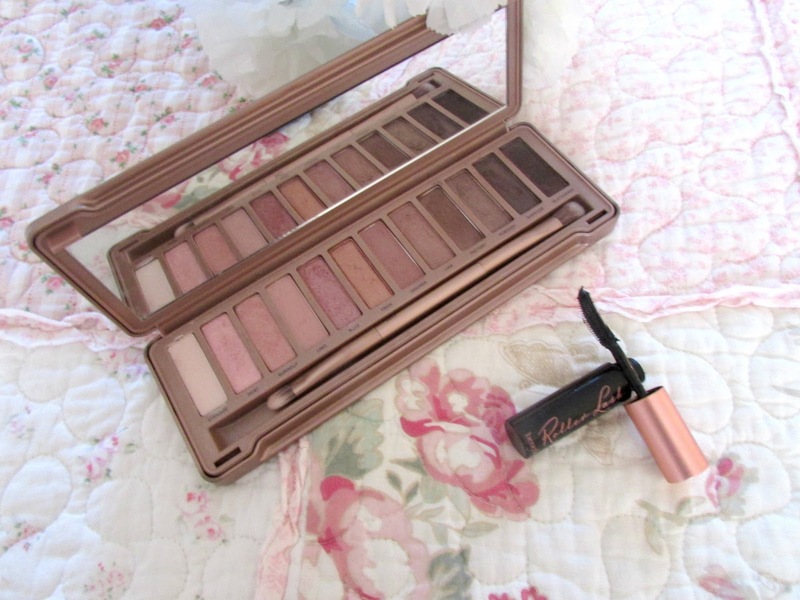 She blogs about a lot of beauty which I absolutely love and a lot of the products she has spoken about recently I have actually gone out and bought myself as she's just so persuasive and makes them sound amazing. She also pulls off a red lip extremely well which makes me extremely jealous! Definitely check her out. So there we have it. All the lovely bloggers I'm loving at the moment. Each of these bloggers bring something completely different to their blogs and all their personalities just shine through their posts. I absolutely love them and as you can see above I've linked all their blogs so you can head on over straight away if you like the sound of them. They are all such lovely people. Who are your favourite bloggers at the moment? Hey everyone! Hope you had a lovely weekend and are having a lovely Monday. Today has been the first Monday in around two months that I haven't had to get up and go to work. I've been on work experience for the past 2 months and I just finished on Friday. I've actually really missed the routine today. I've spent the day applying for jobs however it's got to that stage where I'm getting a headache so I thought that I would take a break from that and do a blog post. 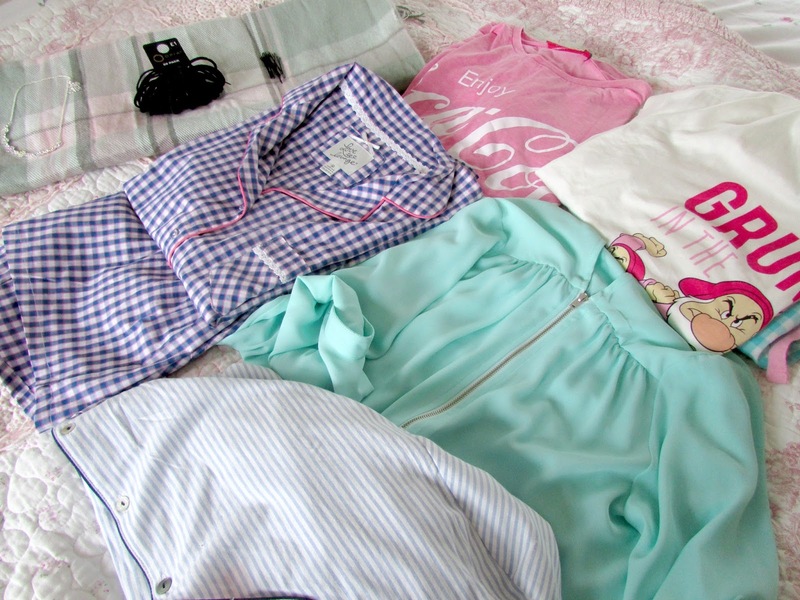 On Friday I went into the Primark near where I was working and bought a few little bits and pieces. I then went to Oxford Street on Saturday to do some Mother's Day shopping but I couldn't resist popping into the Primark there and again I picked up a few things too. Here's what I bought. Enjoy! If you have read my previous posts or seen my instagram fashion posts then you will know how much I love tartan. 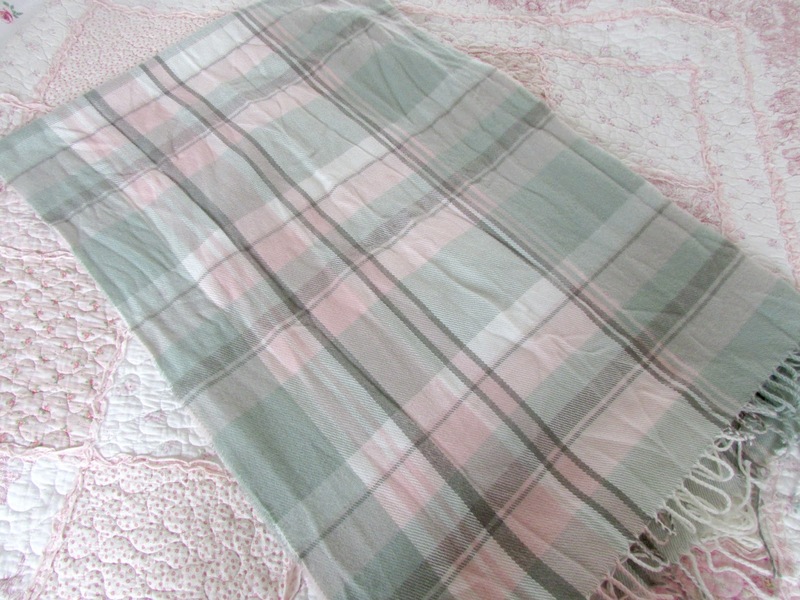 I've been really obsessed with tartan print scarves lately, however they are just way to thick. Spring is just around the corner and I wanted something a bit more spring like however something that will still keep me warm when it gets chilly. I spotted this scarf in primark and I just had to purchase it. I love the colors and the design so much and it was only £5.00! Bargain! One of my favourite things to wear in the spring and summertime even is loose t-shirts. 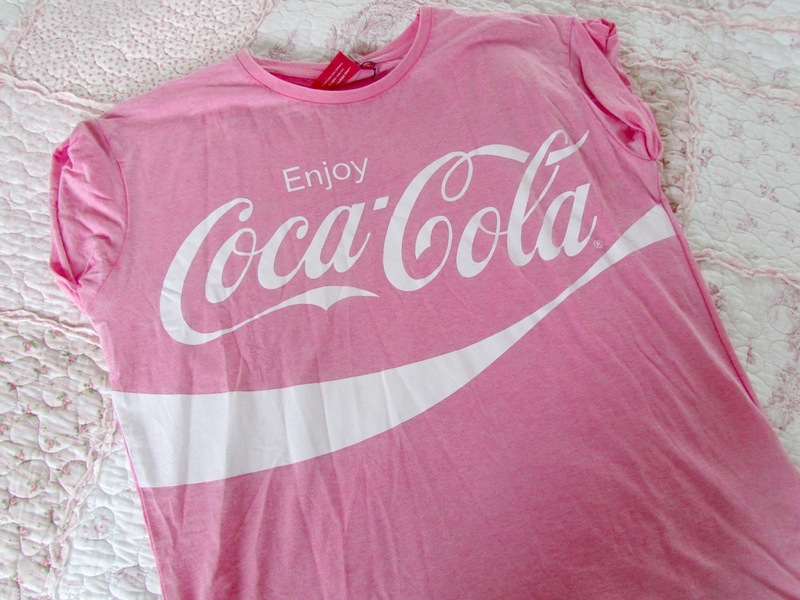 I spotted this coca cola one and I just had to purchase it. First of all I love the colour and the print on it and it's one of those tops that will go with absolutely everything. You can put a cardigan over it when it gets too cold, wear it with jeans and in the summer even pair it with a pair of white or denim shorts. I absolutely love it. I got it in a size bigger than I am purely because I preferred the loose feel rather than the sitting perfectly on your body type feel if you know what I mean. I know that I will get plenty of wear out of this. I spotted this top and I absolutely fell in love with the colour. I was a little bit sceptical of the design because if the zip breaks or something happens you will be in trouble but I couldn't leave it in the shop. It did take me ages to track down this top in my size however. Why do Primark never seem to have the tops on the right hangers? But anyway, I absolutely love this, and again this can go with absolutely everything and it is one of those tops that is very versatile too. You can wear it during the day with jeans or shorts, or wear it at work with a nice skirt or work trousers or even at night with leggings. It's another item I will definitely get a lot of wear out of. I'm currently wearing it writing this post too! On Saturday when I went to the Oxford Street primark (which was mental!) 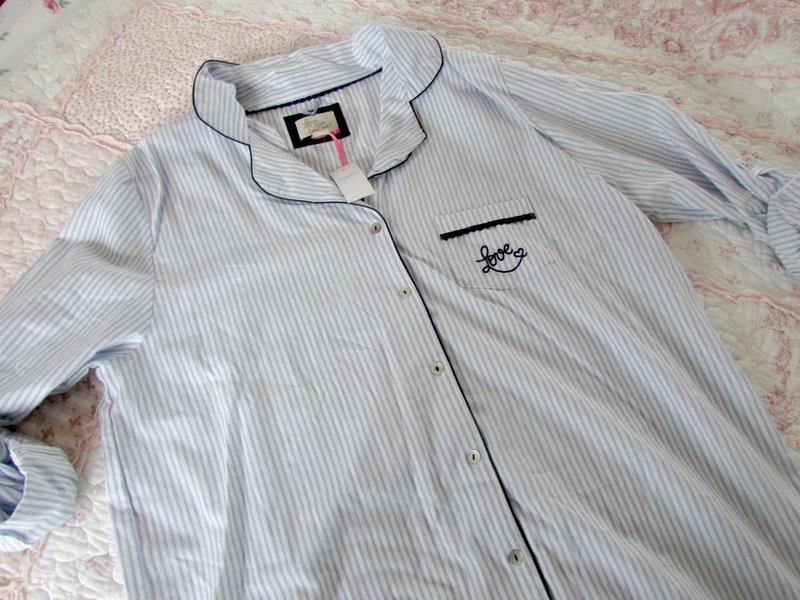 I decided to take a stroll to the pyjama section because I just really felt like buying pyjamas for some reason. Most of mine I've had for a good few years and I just wanted to buy some new ones. I spotted these gorgeous shirt and short set and I had to get it. No matter what time of the year it is I cannot wear really thick and fleecy pyjamas. My room is the loft conversion and as heat rises my room can very often be absolutely boiling. These are just perfect and they are so pretty too. I love the design. I think these were around £7. I spotted these pyjamas and burst out laughing. I'm normally quite happy in the mornings but I do get those days, as everyone does when I'm incredibly grumpy. As a lover of all things disney and tiffany blue I just thought this was the perfect combination. I've worn this twice already and they are just the comfiest pyjamas ever. 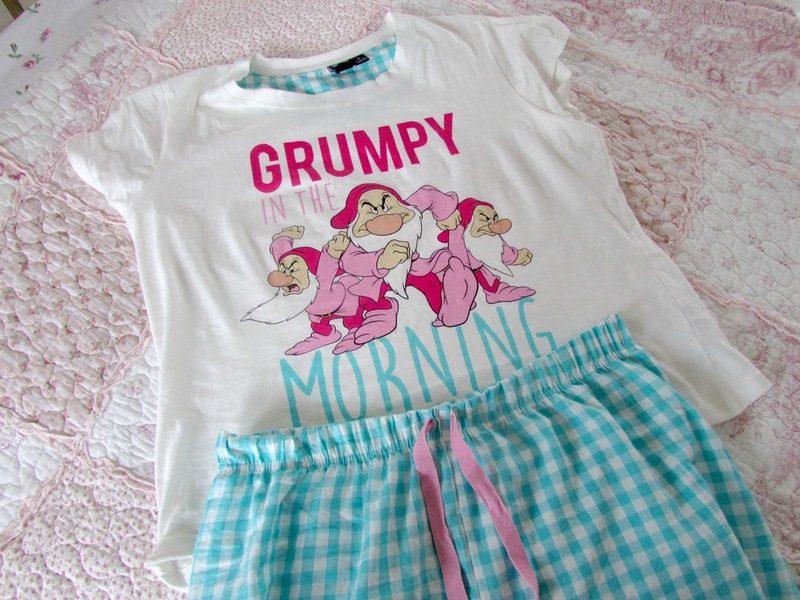 I'm definitely going to pop back in the future and get a few more PJs like this as they had a few more disney themed ones. My Dad saw them and proceeded to tell me to put my dummy in haha! You're never too old for Disney!! I think these were around £10. Shirts like this are my absolutely favorites to wear at night. They are just so loose and comfy and look really flattering too. I love the design of this one with the blue and white stripes. I remember seeing this on instagram a couple of months ago but I could never find it, then I saw it in Zoe's primark haul the other day so I knew it was still floating about and when I went into Oxford Street I didn't hesitate to put in in my basket. I'm excited to wear this. I think this was £8. I didn't want to go mad in the clothing section as I was on a budget so I started making my way to the check out section. 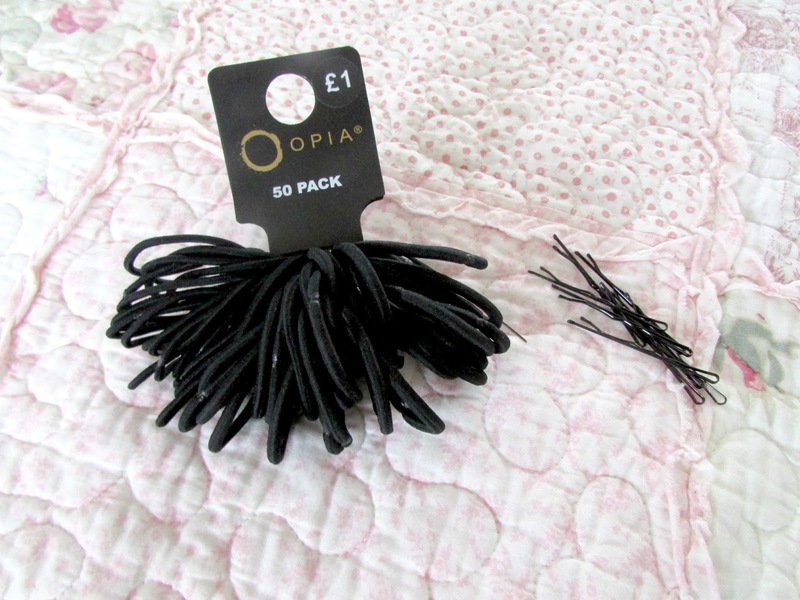 I then decided to stop and pick up some hair grips and hair ties as mine just seem to go missing all the time. Both were only £1 each, in fact I think the grips were 50p for a pack so not too bad. Now I just hope that they last me a long time. The amount I spend on hair ties and grips in a year must be extortionate. I am a huge lover of primark jewellery as I just think they have really pretty pieces for really affordable prices so I then decided to pick up this gorgeous necklace. I love things with flowers on so I couldn't resist it. I also love the fact that all the flowers are different colours as well which means that it will go with pretty much everything. I think this would look stunning underneath collared shirts as well. I just love it. I can't actually remember the price of this but I think it was around the £2.50 mark. Final stop of the day was the candle section which was right by the tills. 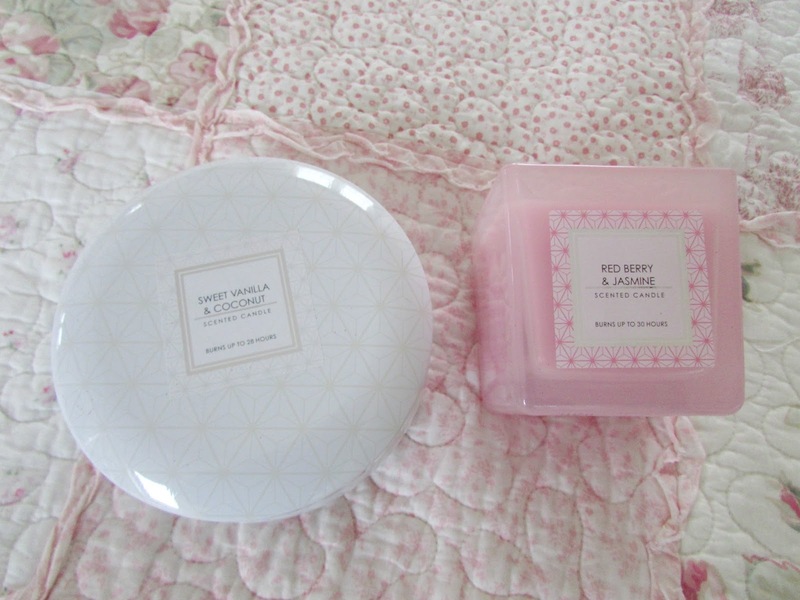 I absolutely love candles and I was looking for a couple for my Mum so I decided to get her the exact same as what I got myself which are the two candles above. I absolutely love the sweet vanilla and coconut one. I love the little pot that the candle comes in and I think this will be perfect for storing little trinkets and stuff in and I'm definitely going to use the Red Berry and Jasmine one to put my make up brushes in once they have burned down. They smell absolutely amazing too. I can't wait to start burning them. So there we have it those are all the things I bought from Primark. I am planning on doing a bigger spree soon for the spring and summer so make sure to keep an out out on my blog for a huge haul. I forgot how much I actually love the clothes in there. Everything is just so super pretty and cheap and I just love it. If you have done a Primark haul make sure to leave it in the comments section below as I love having a good old nose. Are you a Primark lover like me? Hey everyone! Hope you are all having a lovely week! Only one more day left of work/school/uni and then the weekend can begin!! I'm so excited for this weekend. I'll be spending most of it in London and then it's Mothers Day on Sunday so I'll probably be taking my Mum out on a spontaneous trip to somewhere that's currently unknown. Forever doing everything last minute which actually reminds me that I also have a last minute mothers day gift guide going up tomorrow afternoon so make sure to stay tuned for that. In the mean time a bit of a different post from me today! If you didn't already know I'm on every single social media platform. One of my current favourites is pinterest. I love going on there for all things food, fashion, home, quotes, beauty, whatever you are looking for you are bound to find it on pinterest. It is becoming increasingly popular with bloggers too which I love and it's so much fun to click on someone's account to see their own style and what they like as well. You can find out a lot about a person on there which is amazing. 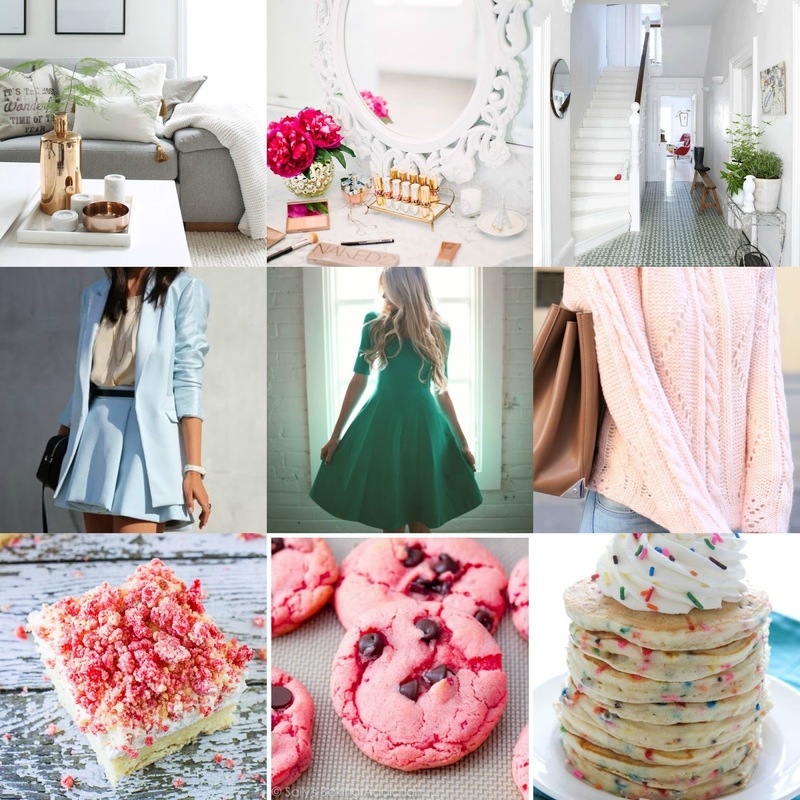 Currently some of my favourite things to pin are home interiors, fashion items and sweet foods. I thought that I would split it up into 3 categories as I just think it would be more interesting for you to read. Keep reading to find out more! One of my favourite things to look at pictures of at the moment is home interiors. I absolutely love looking on the inside of people's homes. 1) because I'm nosey and 2) I love getting inspiration for my own home in the future and also my room at the moment. Each of the photos above have one very important thing in common. They are all extremely bright! I absolutely love all the white everywhere in each of the photos. My room is painted cream shade which is quite yellow toned. As a blogger this frustrates me so much as the lighting is never ever right. I know in the future that I want a really bright house with lots of cute little details. I absolutely love the colour of the sofa in the first photo with the white cushions on them and the little tray on the white coffee table with the gold case and little designs on them. I also love the set up of the vanity unit in the second photo. I love the mirror. I'm currently looking for a mirror like that to go on my wall in my room so if you have any idea where to get them from then please let me know! 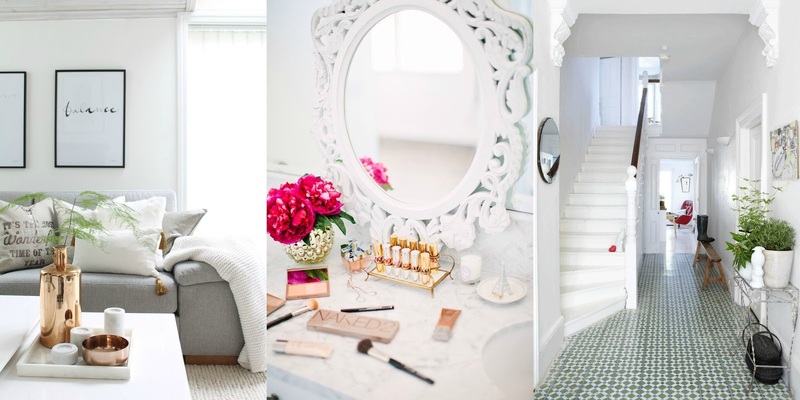 I also love the marble design of the dressing table in the photo as well. I think designs like this are so stunning especially when it comes to blogging as it makes such a fabulous backdrop. I definitely need to find something like this for my photos. My current set up is starting to frustrate me! The third photo is probably my favourite. Imagine walking back from work into that everyday?! Such a beautiful layout. I love the glass table at the side with the green plants on it and the white stairs. Definitely something I'd love to see in my future house. I will be the first person to put my hands up and say that I am definitely not the most fashionable person in the world. I'm the worst outfit repeater in the world. Kate Saunders would be disgusted. (If you watched Lizzie McGuire when you were younger then you would understand that!) Last summer when I was in Turkey I lost a considerable amount of weight and this year I want to experiment more with fashion. I am extremely girly but my fashion choices at the moment just do not reflect that.I absolutely love the styles above especially the first one. I think it's so cute and girly and I absolutely love the color too. The dress in the second photo is exactly my sort of style too and the last photo is pretty much what I wear at the moment. 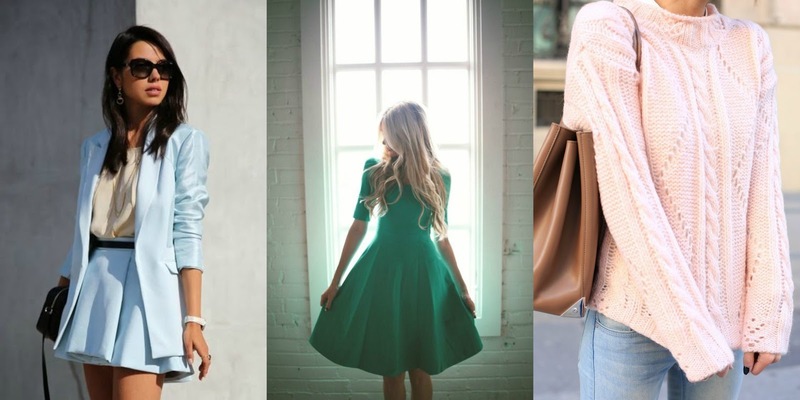 I love pairing cute jumpers with jeans or jeggings and comfy shoes. It's like my favourite outfits to wear. I am going to try and do more fashion inspired posts over on my blog this year as well. It's just finding the confidence that I'm struggling with but I promise that I will do it soon! If you know me then you will know I have an incredibly sweet tooth. I have done since I was very little. I always loved sweet things more than I loved savoury things. That's definitely not the case any-more however, my urge to opt for the sweeter things is still pretty strong. Whilst I was on pinterest a couple of days ago I spotted these mouthwatering treats and I just could not resist pinning them and saving the recipes. I mean just look at the, can you blame me? The first recipe is a photo of some strawberry shortcake bars and I absolutely love how they look. I was meant to make these the other night but I haven't been well and neither have my parents so I might just save them for the half term which is in around 2 weeks. They just look so delicious and I love what looks like dried strawberry bits on top of the bars. It looks so tasty! The second recipe is again strawberry related however also contains another one of my loves Chocolate!! I am a huge lover of all things chocolate (except chocolate cake) and strawberries so the fact this is a strawberry chocolate chip cookie is definitely a winning combination for me. The final recipe would have been perfect for pancake day had I seen it sooner! 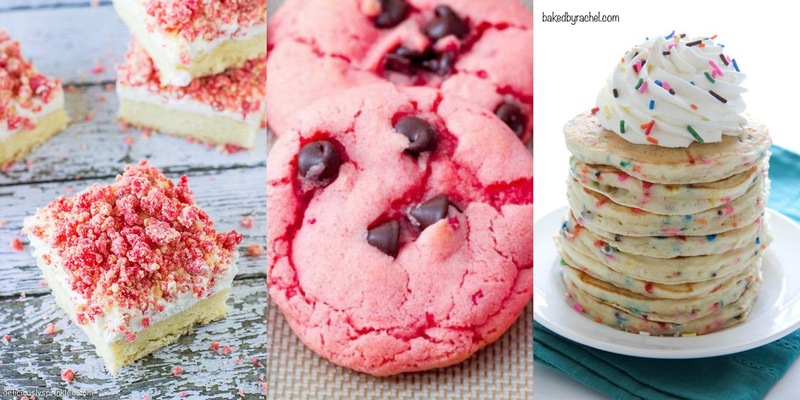 On pinterest it's named 'Funfetti Fluffy Pancakes' and I love that! It's basically got multicoloured sugar strands in the pancake mix and I reckon this would be even more delicious than normal pancakes. I wasn't lying when I said I had a sweet tooth! I've even dedicated a whole board to sugary treats on there. Oops! They just have so many amazing recipes on there it's hard to resist at times and obviously the photography is just so incredible which is even more tempting. So as you can see I do love pinterest a lot. It's just such a fabulous website for browsing inspiration for things you love. I probably don't have to even say this but obviously all the photos above were taken from pinterest. If you aren't haven't checked out my pinterest you can head on over HERE where you can check out all my other boards. I post about my dream house, future weddings, quotes, other foodie bits and bobs and obviously a ton of fashion and beauty there. If you are not yet signed up and are a blogger I would highly recommend it. So much inspiration on there and you can even post your own blog photos as well which is perfect if you want to get more traffic to your blog. It really helps. Do you have pinterest? Make sure to leave your links in the comments section below. Hey everyone! Hope you are having a lovely weekend. 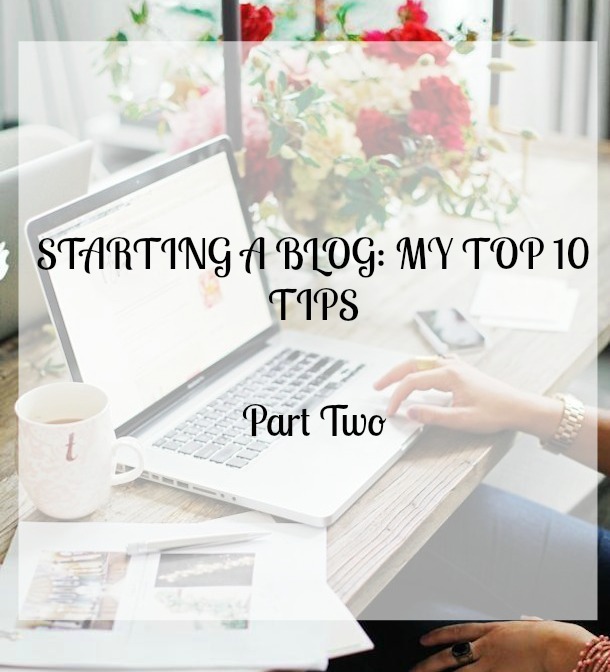 Today I thought that I would do part two of my '10 Tips To Starting A Blog'. I already did the first part over HERE if you haven't already seen it and it got a pretty amazing reaction so this post is just a continuation of that. However this post will be a few things to remember as you go through blogging. 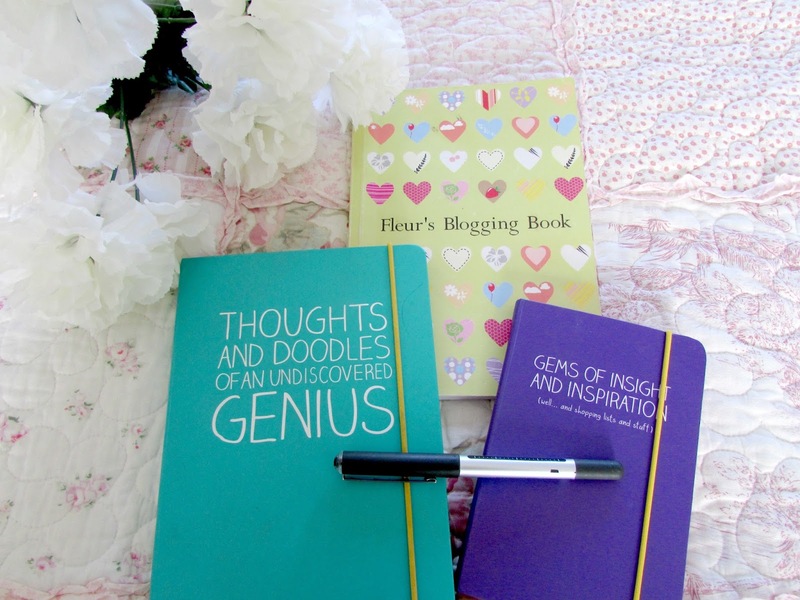 Like I said in my last post, your blog is your very own space. I don't want this to come across too preachy but I know reading something like this when I started a blog would have definitely helped and I really hope that it helps those of you out there who have started a blog or are thinking of starting one in the future. ENJOY! I touched on this a little bit in the 'social media' section in Part One, however social media is completely pointless if you do not use it. If you want to get your blog out there and want to gain loyal readers then interaction with bloggers is definitely something I consider to be very important. Whether it's a follow on twitter or commenting on other blog posts to just say hi, people will definitely come across your blog and you'll gradually see the numbers rise in both views and followers. Make sure you link all your social media on your blog too so if people like your blog they know where else to find you. I have all my social media linked under the profile photo on my blog so if people want to send me a tweet or find me on other social media platforms that gives them easy access. Unfortunately you will be judged when it comes to blogging. Most probably from people outside who don't really understand why it is people blog. You will also have those few keyboard warriors who will feel the need to pick at everything you do and say. It is important to not let them get the better of you. Block them and ignore them. Thankfully I have never been a victim of this myself but I have seen it happen to other bloggers daily and it's disgusting. If you ever feel like it's getting a bit too much take a break. Blogging at the end of the day is a hobby at first and something we all do because we enjoy it. Don't let a few narrow minded nasty people get the better of you. I won't lie here, blogging is extremely popular now. There are so many amazing blogs out there and you will feel occasionally disheartened when you blog isn't getting as many views or a post isn't getting as many likes as other bloggers do but that is okay! It doesn't mean your blog isn't good or that you've written a rubbish post. Blogging is something that allows us to express our interests. We are all completely different people and blogging allows us to share that difference with the rest of the community. If we were all the same blogging would be a very boring thing indeed. Don't be afraid to be different. If anything that is the one thing that will draw readers to your blog. There is no write blog post to write or wrong blog post to right. Write about whatever you want. Don't feel pressure to write about a certain lipstick just because everyone else is writing about that lipstick. A post about how you spent your day is definitely something that can make you and your blog stand out. This is so important to remember. I know it can be quite disheartening when you feel like nobody is reading your blog. However it is important to remember that these things do come in time. It has taken me two years to get to over 800 followers and I couldn't be more proud but it really isn't about that for me. If you focus more on gaining followers than your actual content then this can be pretty obvious to your readers. Don't Take It Too Seriously & ENJOY BLOGGING! My final tip in this series is to not take blogging so seriously! At the end of the day we all start this blog for the same reason we enjoy writing and we are passionate about things that we want to share with other people. I do take blogging seriously because I want to go into journalism so I do focus a lot on the writing (you don't want to know how many hours it has taken me to do this post), however I still absolutely love it. I don't write about something unless I'm passionate about it and I always get comments telling me that I seemed really passionate and that I really enjoyed writing it and that makes me really happy. Work hard at your blog and enjoy whatever extra benefits that come with it. Your hard work will be rewarded. So there we have it. I hope you have enjoyed this little series and that it has helped those of you who have started a blog or want to start a blog in the future. I've really enjoyed doing this series so if there is anything else you would like to see me talk about on my blog please let me know. In other news I have recently passed 220,000 views on my blog and have almost reached 850 followers on bloglovin which I find absolutely mindblowing. Thank you all so so much!! It means so much to me to know that you all like to my blog enough to follow it. I also appreciate every single comment that is left on my blog. Thank you so much. I'd also like to take this time to say Happy International Woman's Day to all you gorgeous girls and woman out there. Remember that you are strong, beautiful and incredibly inspiring. Have a wonderful Sunday and I'll be back with a new post on Tuesday. Have you recently started a blog? Leave all your links in the comments section below.